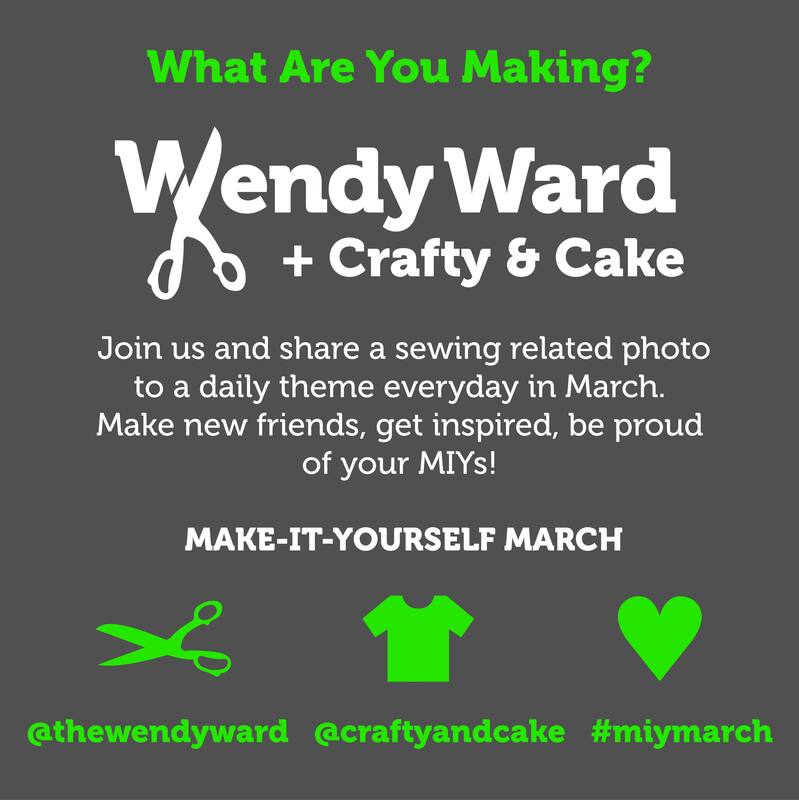 Make-It-Yourself March – want to join in? In celebration of sewing and dressmaking and the Sewing Bee on television and all things you made yourself, me and Emma aka Crafty & Cake are hosting a month long photo-a-day challenge over on Instagram. We want to know what you’re making, what you want to make, your making inspiration, where you make, what you make with and your best and worst making moments! Hopefully you’ll be inspired by everyone else’s photos, meet some new online buddies and have a bit of fun appreciating the fruits of your labours! Every day Emma and I will choose our favourite 4 images to showcase at the end of the day. You can play on Twitter too – use the same names @thewendyward and @craftyandcake and the #miymarch hashtag and let’s celebrate your dressmaking achievements, inspirations, secrets and sewing goals. 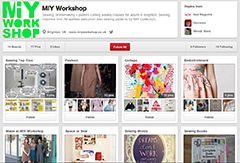 This entry was posted in Uncategorized and tagged crafty and cake, dressmaking, easy sewing patterns, instagram photo a day, make it yourself march, miymarch, sewing, sewing classes Brighton, Wendy Ward. Bookmark the permalink.